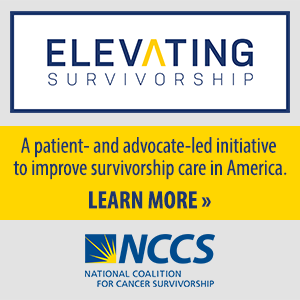 The National Coalition for Cancer Survivorship (NCCS) is alarmed by the actions President Trump took this week to undermine the Affordable Care Act. These decisions are likely to destabilize the individual insurance market and put affordable and adequate health insurance out of reach for millions of Americans. The health and well-being of cancer patients and millions of additional Americans are under threat as a result of these actions, as many will be unable to afford insurance coverage. Those at greatest risk for limited access to affordable coverage are those with pre-existing conditions. Directing federal departments to revise rules and regulations to encourage the marketing and purchase of association health plans and short-term limited duration insurance. These efforts will harm cancer patients – and all Americans except those who are healthy today – by separating the healthy and the sick into risk pools, thereby collapsing the individual market. These efforts will also result in the marketing and purchase of bare bones “junk” insurance policies that are inadequate for any Americans with health issues. Those who purchase these junk plans today while healthy will be left with wholly inadequate insurance if they are diagnosed with cancer. Refusing to fund the cost-sharing reductions that ensure that low-income Americans have assistance with deductibles and cost-sharing. This decision will immediately cause increases in premiums in the individual market, but the subsequent effects will likely be the withdrawal of insurers from the marketplace and potentially the collapse of insurance markets. Many consumers will be unable to obtain insurance coverage at all and many more will be unable to find affordable coverage. These $7 billion in annual subsidies to health insurers allow around 7 million low-income Americans to afford coverage. The Congressional Budget Office says that ending CSR payments will result in 1 million more Americans uninsured, premiums will rise by 20% and the deficit would rise by $194 billion. As the Washington Post reports, the uncertainty about what Trump would do has already driven premium prices higher for 2018. NCCS will intensify its efforts in opposition to proposals that will bifurcate the pool of Americans in the individual market, as we think these efforts do not achieve the goals of providing Americans more affordable insurance and a wider range of insurance options. Instead, these efforts threaten the individual insurance market. We also call on Congress to act immediately to ensure the funding of cost-sharing reductions. This is a modest but absolutely critical step for stabilizing the insurance markets.